Looking forward to the global challenge! The final countdown to our Mumbles trip has started. Within 6 days we will be there, enjoying the Swansea bay. Kathleen and I have really been looking forward to this event. First of all to see a lot of friends again and also because sailing on elapsed time is the most exciting thing there is! We hope to be able to report on the event from time to time on our blog, but the results will be updated daily on the official F16 Global Challenge website. Below you can find a short video of some practising we have been doing the last month! This should have been a great report on a great race. Because: this really is one of the best races in our nearby club (RBSC Duinbergen). 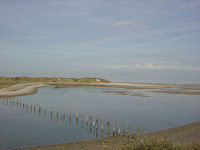 More info: the race takes the boats to the nature reserve "Het Zwin" (one of the last areas of completely untouched nature at the Belgian coast. 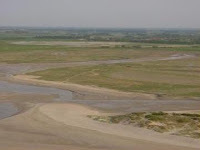 The sandy plain is flooded every day by the sea and forms a mudflat with typical salt-loving vegetation. 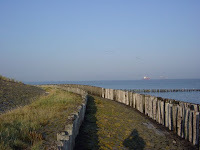 This lets you see particular vegetation and numerous species of birds) were we lunch on the beach (grill or oriental food) and then head back to finish before the club of Duinbergen. This isn't a great report on a great race. Because: the wind was blowing like crazy on Monday. For those interested, follow this link for some more info on "Het Zwin". 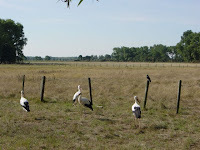 And some images to introduce you to "Het Zwin". 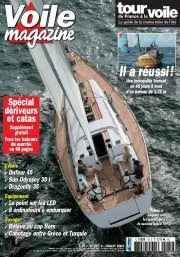 In this months Voiles magazine (French sailing magazine) there is a report on the Blade F16. Ours! I hope we still receive some pictures to show you! If you can't wait, check out the magazine! After a little rest, hereby my experience! Already looking forward to our next race on the 21st of July. 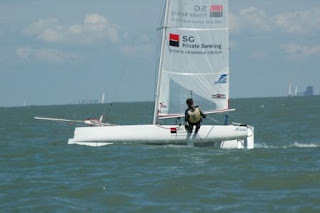 Because it also was the Belgian A-class championship 12 A-cats showed up. British, Dutch, a Swiss and ofcourse Belgian sailors showed up. Next to the A’s 13 other single handed cat’s where present (FX One, Cirrus evolution, a Bim X16 and I on the F16 Blade). All together a nice mix of non-spin and various types of spin boats. The race course was a classic course. Windward buoy, spreader, gate, windward buoy, spreader, gate and finish. The first day started very windy (up to force 6) and the races were cancelled. The second day we were more lucky and had, in my opinion, nice one up weather. Since it was only the 4th time I sailed the Blade alone I was happy to see force 3 to 4 predicted. 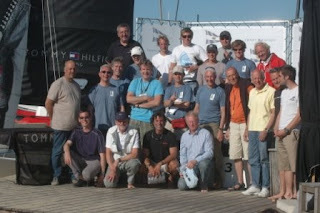 Because we didn’t sail on Saturday, the race committee announced to sail as much races as possible on Sunday. We sailed 4 in total. The second race the wind started to pick up to I guess 8 knots. Myself, the A’s and the Bim could trap and formed a group in front. The other cats already lost quite a lot on the upwind. I guess 5 to 6 A’s were in front of me at the windward mark. I’m guessing 3 to 4 minutes. After a short spreader run I could hoist the spin and started to pick up speed immediately. The Blade flew a hull the entire time and I was sailing a lot faster and deeper then the A’s! By the time I was at the gate I catched up with the first A’s. Along the race all my spin hoists and retrieves went very well and I almost didn’t lose any time at the gate compared to the A-cats. In the upwind leg I lost a little again but was closer then I was the first time. On the downwind the Blade flew again. I was well ahead of the first A and didn’t take the risk to leave the spin on, the last 200 meters between the gate and finish. Eventually I finished 15 seconds ahead of the second finisher, enough to get a 1 on calculated time (F16= 0,982, A= 0,986). On the 3rd race the wind picked up a little more and the FX One and Cirrus started to trap also. And against to what I thought I gained even more terrain on them upwind. I could also keep up with most of the A’s, meaning I was well ahead of them at the gate and eventually at the finish! Another 1. The last race would be deciding on who would end first overall… This was quite an unusual feeling for me so I honestly got a little nervous…. I wanted to have the best start of the day and parked myself next to the committee boat 2 minutes before the start. But…. due to the current I was almost being pushed over the start. On the start signal they pulled the individual call back flag… Because having OCS is worse than restarting I decided to take no risk… (as seen from the race results 4 other boats started to soon, so I made the right choice). Ofcourse this stressed me out even more. For the first time in the race I saw other cats then A’s in front of me! The wind had dropped a little also and I couldn’t keep the boat up speed upwind… I lost the final battle…. Well overall 2nd still made me the happiest sailor on earth! The one up cup and Belgian A-cat championship was held this past weekend (12th and 13th July) at Knokke-heist “Het Zoute” (sea-shore between Zeebrugge and Cadzand). This race is open to all single handed multihull classes mentioned in the ISAF “SCHRS rating system”. The 4th year this race was held and the most participants ever, 25 boats! This made for an impressive start, clearly visible from the shore line were I was watching and crossing my fingers for Gill. The race course was a classic sausage course. Windward buoy, gate, windward buoy, gate and finish. The A-Cats were mostly faster in the upwind course. But downwind the F16 is so much faster. That spi is really a nice wannahave when sailing solo. But we didn’t need to cross our fingers… He sailed fantastic. Everything went very smooth, no troubles hoisting the spi, no problems gybing. What else do you want? Luckily the weather was very cooperative. After the first day racing was cancelled due to too much wind (6 BFT), the 2nd day, Sunday, was beautiful. Nice and sunny with winds varying 3-4 BFT, WNW. A great job was done since he arrived 2nd in the overall competition. One A-Cat beat him. In the “not a-cat” results he even finished 1st! He got 2 bullets and a place 5. Waauw! !